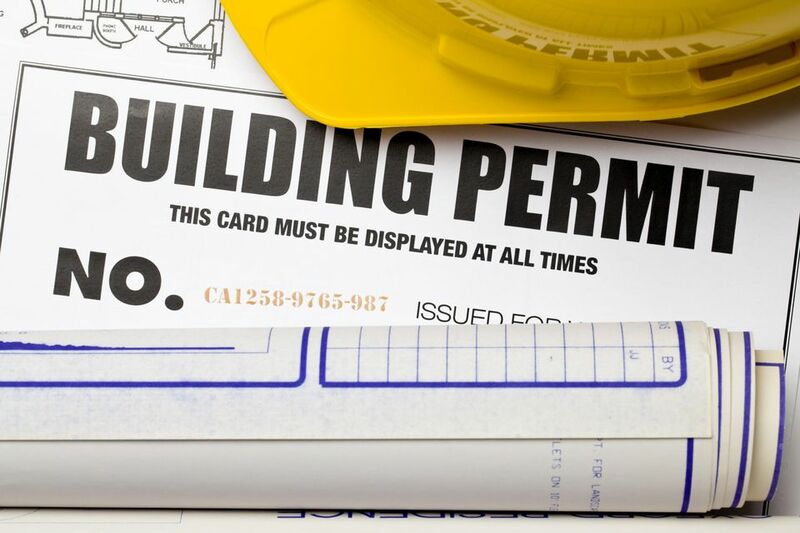 When Do You Need a Permit for Your Remodeling Project? Determining if you need a permit for your home remodeling project can be difficult because permitting departments often frustrate homeowners' attempts to sort out rules. Departments traditionally have prioritized commercial interests over those of homeowners doing their own work. Often it is a bias borne from necessity: contractors, builders, and the trades represent an overwhelmingly large majority of applicants. While all cities and counties are different, certain themes do emerge to clarify permitting requirements. These themes, expanded below, can be generalized as public and personal safety, plumbing, electrical, and natural gas. Projects touching on those areas will require permits. With changing safety codes and a need for greater revenue, cities and counties shift more projects to the "Permit Required" list. Most localities will require a permit for the following activities. Layout Whenever you expand the house in any way or alter the house&apos;s envelope, you will need a permit. Fences installing a fence over a certain height, such as 6 feet, triggers a permit. Most municipalities will consider an add-on such as shrubbery to be part of the fence. Demolition Parking your roll-off dumpster on a public street will require a permit. This is one of the rare permitting instances where your own property is not involved. Decks Building decks over a certain height, such as 30 inches above grade. Sewer Doing anything with a sewer line typically requires a permit. This permit action concerns not just your personal safety, but the health of those serviced by the main sewer line down from your house. Addition Building an addition will always require a permit. Fireplace and Chimney Fireplaces, wood-burning stoves, and inserts nearly always require a permit because of the potential for fires. Chimney cleaning will be an exception, though. Roofing Re-roofing involving structural elements, including but not limited to sheathing, skylights, change of roof pitch and change of roof material where the total weight exceeds 10 pounds per square foot. Walls Demolishing a non-load-bearing wall usually requires a permit. Even though this type of work does not structurally compromise your home, some permitting agencies want to be overly cautious and make certain that do-it-yourself homeowners do not undertake dangerous repairs. Landscaping Retaining walls over 4 feet tall tend to require permits, as retaining walls have a tendency to topple above this height. As time goes by, more non-permitted actions become permit-required. In some municipalities, the following actions may still steer clear of permit requirements. Roof Laying in a new roof of similar materials. Demolition Parking your roll-off dumpster on your own property. However, if you happen to live in an association-controlled neighborhood, make sure you do not run afoul of your own housing association&apos;s rules. Electrical Minor electrical work, such as replacing a light fixture or an electrical outlet, often does not require a permit. Replacing a circuit breaker in-kind will not require a permit either. Decks Decks below a certain height (such as 30 inches) are not considered to be a safety hazard and therefore do not require permits. Landscaping Building tree houses under a certain size and height may not require a permit. However, habitable or live-in treehouses will need a permit. Property Boundaries Permitting departments are not concerned with matters involving your boundary with your neighbor. Disputes are civil matters for the courts. Appliances Appliance replacement in the same location as long as you are not modifying gas, plumbing lines, or electrical circuits such as dishwashers, ranges, ovens, gas logs, washers, and dryers. A phone call to your local permitting office is the best way to determine if you need a permit. Many permit officers are happy to discuss permitting issues with anonymous callers as a way to ward off future code violations. Even then, the only definitive way to know if a permit is required is often to apply for a permit.